Someone posted this picture on Reddit and I was blown away when I saw it. It was taken June 5, 1989 in Beijing, China. 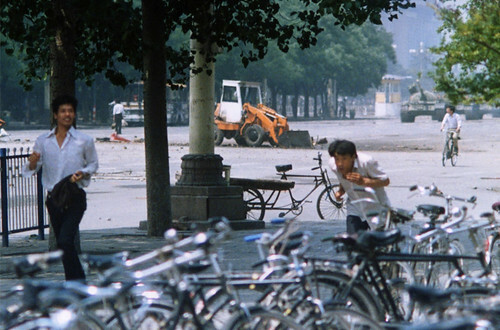 That of course is Tank Man, he of the iconic photo below. Nobody knows what happened to Tank Man. What's tragic is that youth in China aren't aware of Tank Man and many have never seen these images as they're censored by the Communist Party of China. 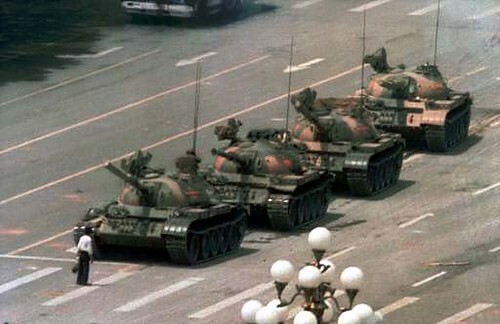 Here's hoping the very courageous Tank Man escaped the CPC and went into hiding where he remains safe to this day. 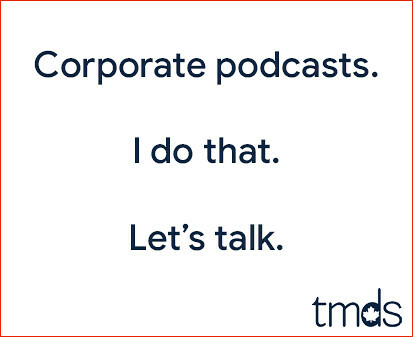 Actually, it was a totally tragic story. He was put in solitary for years and it completely broke him. He was released recently but a shadow of a human being. I think he needed to be cared for 24 hours a day or something. Where did you learn that? I'm not doubting it's true, just sceptical because of what Wikipedia says about him. Little is publicly known of the man's identity or that of the commander of the lead tank. Shortly after the incident, the British tabloid the Sunday Express named him as Wang Weilin (王维林), a 19-year-old student who was later charged with "political hooliganism" and "attempting to subvert members of the People's Liberation Army." However, this claim has been rejected by internal Communist Party of China documents, which reported that they could not find the man, according to the Hong Kong-based Information Center for Human Rights. One party member was quoted as saying, "We can’t find him. We got his name from journalists. We have checked through computers but can’t find him among the dead or among those in prison." Numerous theories have sprung up as to the man's identity and current whereabouts. There are several conflicting stories about what happened to him after the demonstration. In a speech to the President's Club in 1999, Bruce Herschensohn, former deputy special assistant to President Richard Nixon, reported that he was executed 14 days later; other sources say he was executed by firing squad a few months after the Tiananmen Square protests. In Red China Blues: My Long March from Mao to Now, Jan Wong writes that the man is still alive and is hiding in mainland China. The government of the People's Republic of China has made few statements about the incident or the people involved. In a 1990 interview with Barbara Walters, then-CPC General Secretary Jiang Zemin was asked what became of the man. Jiang first stated (through an interpreter), "I can't confirm whether this young man you mentioned was arrested or not," and then replied in English, "I think...never killed" [sic]. At the time, the party's propaganda apparatus referred to the incident as showing the "humanity" of the country's military. According to an unnamed professor from Hong Kong, reported by The Epoch Times, the tank man is still alive. He is said to have hidden in China for 3 years and 9 months after the incident, and eventually settled in Taiwan. The professor also stated that the tank man is a specialist in Chinese archaeology. And we keep fuelling this regime by purchasing more and more every day. A very brave man for sure, unfortunately his act may have been for not, as our own government has decided to kiss up for the petro dollars, and the fact he is little known in his own country. I had hope Harper would keep his pressure up on China as he did a few years ago, when he met with the Dalai Lama. How does capitalism marry communism?